Brain Development Programme Make Your Child A Quick Genius! Abacus training classes due to its unmatched benefits for children is popular across the world. 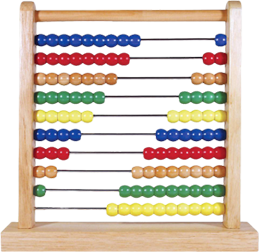 GenSmart Abacus classes offer a specialized course, that is proven as a “Brain Development Program” for children. It is a boon for students as it enables them not only to learn to do mental maths but also to utilize all functions of both left and right brain. We work in accordance with child’s psychology. We understand the importance of ‘play’ in a child’s life and implement playful methods in our lessons, so as to make their experience joyful and memorable translating into effective learning. Whole Brain Development – The Outlook is Bright When Left Brain Meets Right. Most brain development in children occurs primarily before the age of 14, with much of that development taking place in the first several years of life. Children retain significant “neuroplasticity”, meaning brain adaptability that allows growth and inter-connection of brain neurons. The Program is designed to develop the integrated and motoring functions from both sides of the brain. When children manipulate the beads of the Abacus, communication between the hands and the brain stimulates the brain’s right and left hemispheres.